This topic contains 1,605 replies, has 154 voices, and was last updated by ForceEcho 3 days, 10 hours ago. ok those Battle Brothers are tough guys… but.. to put on, a helmet was carried by a zombie before, for years..
"OK, OK! 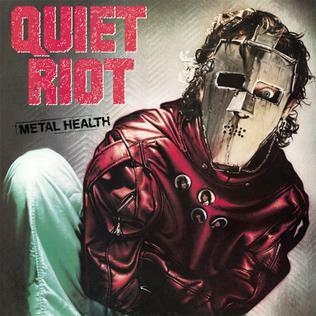 Then I´m a wrecked down minstrel drunkard pretending to be a paladin, singing so wrong in the midst of battle that even the undead run in fear... Better?!" These are so awesome, great work!!! Is the fourth one a Nithing Pole?? Oh Sweet Doggies!! A Nithing Pole!! The implications of seeing that are quite interesting. Yeah, these are well thought out. They project the perfect message any self respecting bandits/evil types want to exude! In a single player game, there's no such thing as cheating. It's merely "creative manipulation of the default settings"! To be honest it would be inconsistent to make these items not lootable. The normal zombies also drop lootable equipment. Allthough the decayed armor of fallen heroes will not be comparable in quality to newly crafted armor and helmets. This was my original idea. 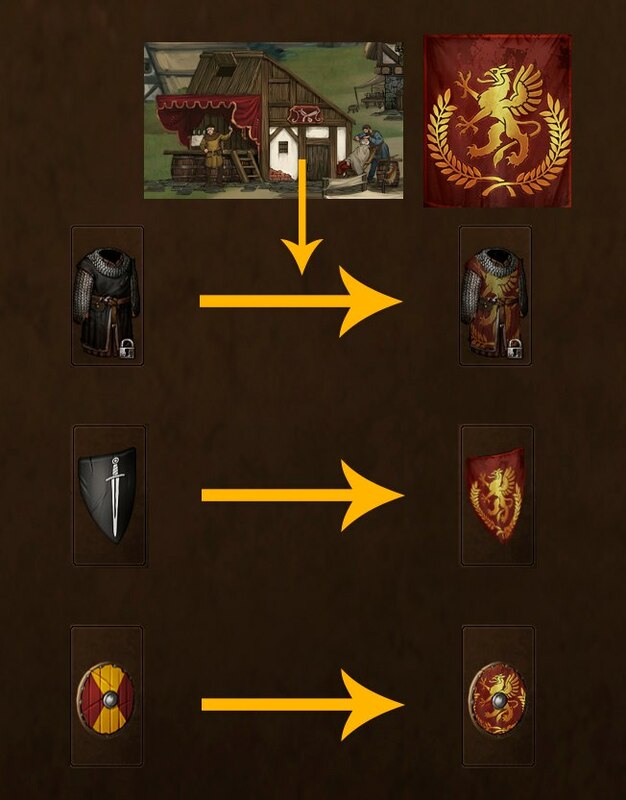 It turned out that its pretty hard to create a completely different look from both noble banners and mercenary banners by just mofyfing existing noble house banners. So in the end I decided to go full throttle on unique (maybe over the top) stuff so you can recognize bandits easily. What about the Lost Souls? Are they in the zombie faction or the skeletons? I do like the pagan character and the creative look of the bandit standards, they’re all very strong, I guess one problem might be how often you run into the more flamboyant designs, but that’s just speculation, and probably won’t really be a problem considering the variety of factions you’ll be fighting. Greetings! I really like your work! Excuse my English (I use Google translator). I have a question. You made banners for mercenaries. But mercenaries banner is now used only on the general map. Now the game has a hairdresser (allows you to change the appearance of mercenaries). And you want to armor and shields, too, used the banner of mercenaries. This will be the game? To make it clear, I drew a picture. They will belong to the zombie faction to give them some more variety. And you want to armor and shields, too, used the banner of mercenaries. This will be the game? To make it clear, I drew a picture. thanks for the picture, I know what you mean. I would really like something like that as well, but unfortunately its not that easy. Each Armor or shield uses a variety of different assets. A 70×70 pixel and a 70×140 pixel image for the inventory, a normal version for the tactical combat bust, a damaged version for the tatical combat bust and a dead version for the tactical combat bust. All of these have to be created by hand. It’s not possible to just change the “texture”. At the direwolf head banner shouldn’t one of the upper ropes be taut? The new fallen heroes are also very cool. Would it be possible to make one of the helmets be damaged above an eye slit in such a way, that the lidless eye underneath, staring out of the hole, would be visible? I for one absolutely love the new Fallen Heroes, Paul you really did good, but why does the great helm have so few breath wholes in it? Did you use the old model rather then the new great helm? 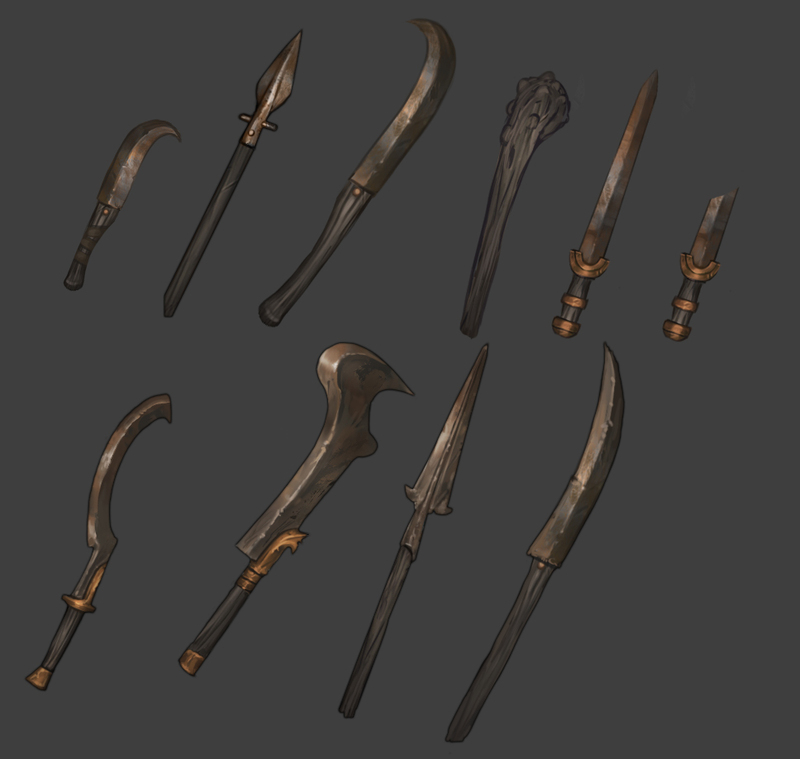 If so just poke a few more wholes for hentilation and it will look perfect, undead might not need it but your mercs will, could always take it to a blacksmith for polishing afterwards does matter how dirty it was. one of the helmets be damaged above an eye slit in such a way, that the lidless eye underneath, staring out of the hole, would be visible? Thats a cool idea, but as all fallen heroe equipment is usable by the player I think it would look a little strange on a regular human. I am working on the “ancient dead” as we now call them. They’re almost finished but I dont want to show you everything yet. The next two weeks there will be no posts as I am taking my long awaited vacation. To not let you starve too much, here’s some pics of the ancient dead. looks real good. i like last line of “faces” helmets very mutch. 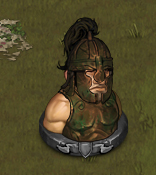 Wouldn’t it be possible to just show the part of the regular human face underneath the helmet layer/the hole area like it is done with any other helmet where part of the face is still visible? But I guess, Fallen Heroes do not have a head underneath the helmet, do they? Sure, if it is not worth the hassle, let it be. Or maybe it is stuff for a named version of the Fallen Hero Helmets. Anyway, awesome work on the ancient dead! 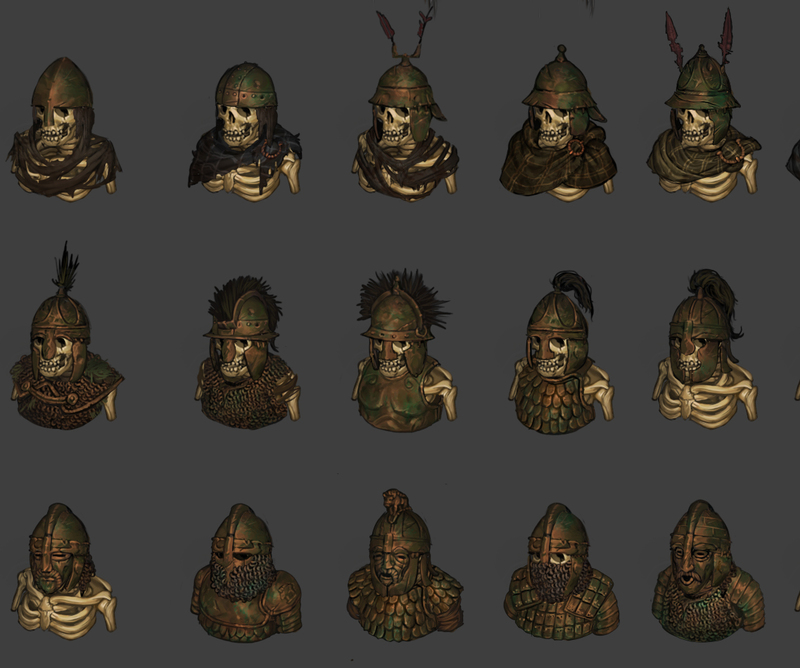 Could there be named versions of the face helmets depicting animal or goblin or orc faces – or a human skull (lol) ?